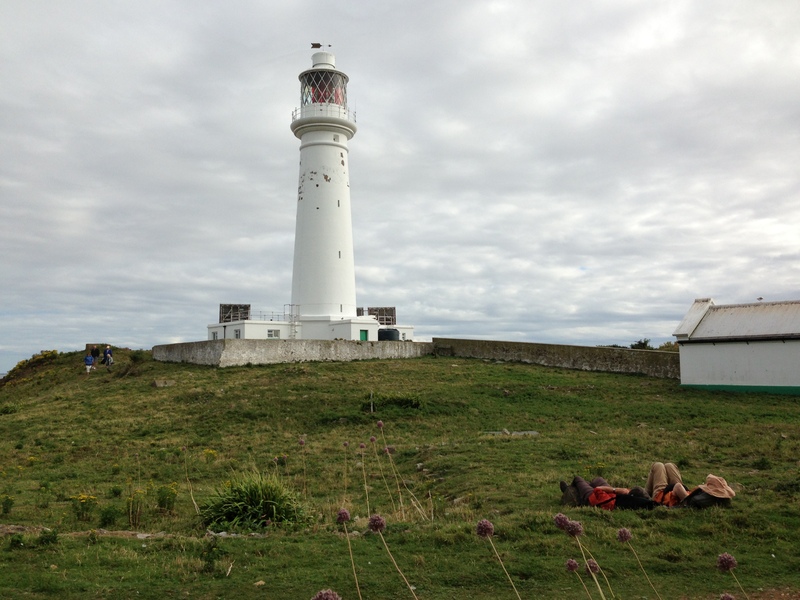 Flat Holm Island | A diary with a difference….. Seeing fluffy gull chicks grow to gawky adolescents, then to successful juveniles is one of the privileges of living here, and it’s hard not to feel some sort of parental pride as, over the summer, the young gulls’ initially clumsy take-offs, landings and mid-air manoeuvrings have become increasingly skilful (though still not without an occasional misjudged, comical near-miss with a less-than impressed adult heading in a different direction). 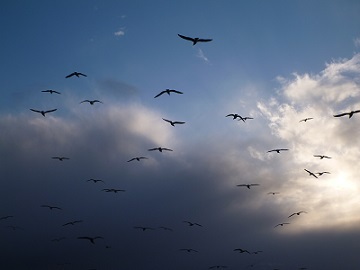 In the passage quoted and elsewhere in his book, Mabey suggests that some birds seem to enjoy flying for its own sake, and having had front-row seats in a gull colony for over two months, it’s hard not to agree. With most of the gulls now departing Flat Holm and heading to sunnier climes, the island will be quieter without them, but they will be missed on windy days in particular, and we look forward to their return next March. 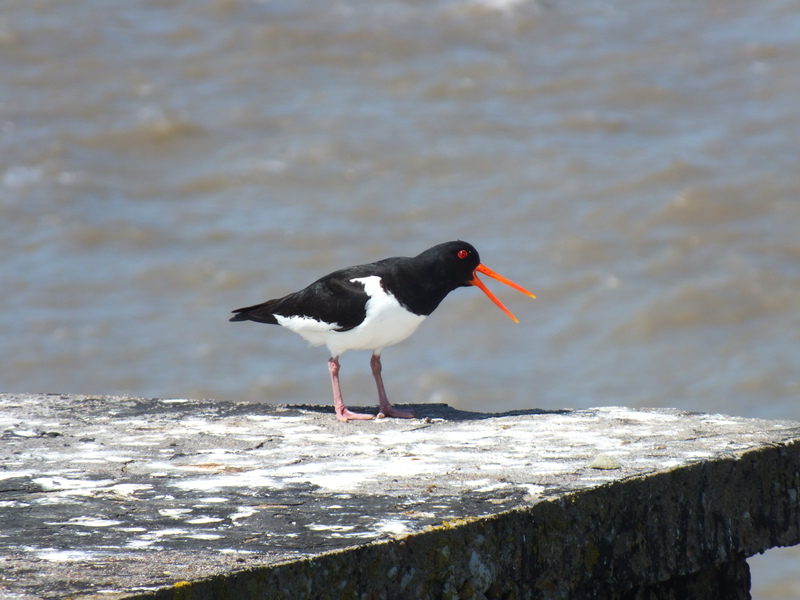 We’ve had a number of regular sighting of Oystercatchers during the last few months and we were hopeful that some of them would be breeding pairs. We had no luck at spotting the nests as oystercatchers are notorious for keeping them well hidden but we knew their favourite haunts. 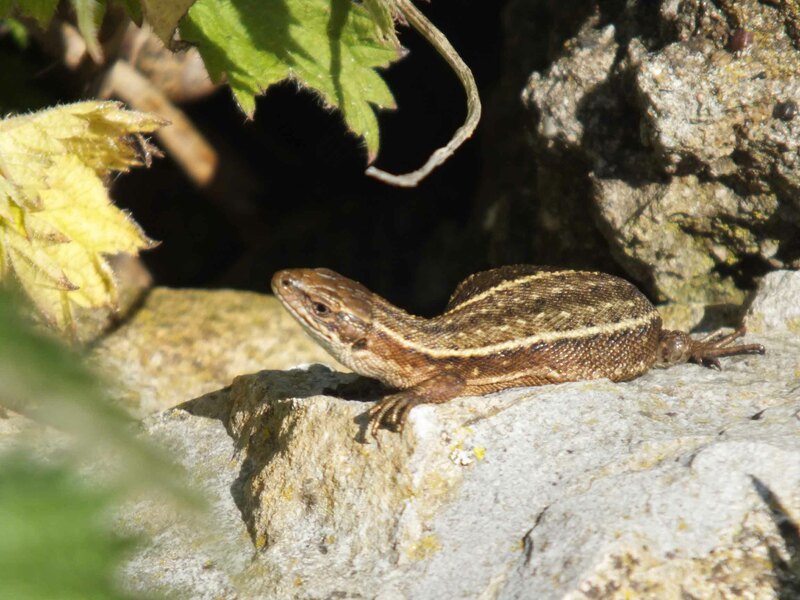 This week on our regular bird walk we spotted that there were a few more than normal. If you look closely at the photo below you should be able to see the successful parents with their two oyster youngsters. The young at this age have smaller and darker beaks, darker legs and browner back feathers. 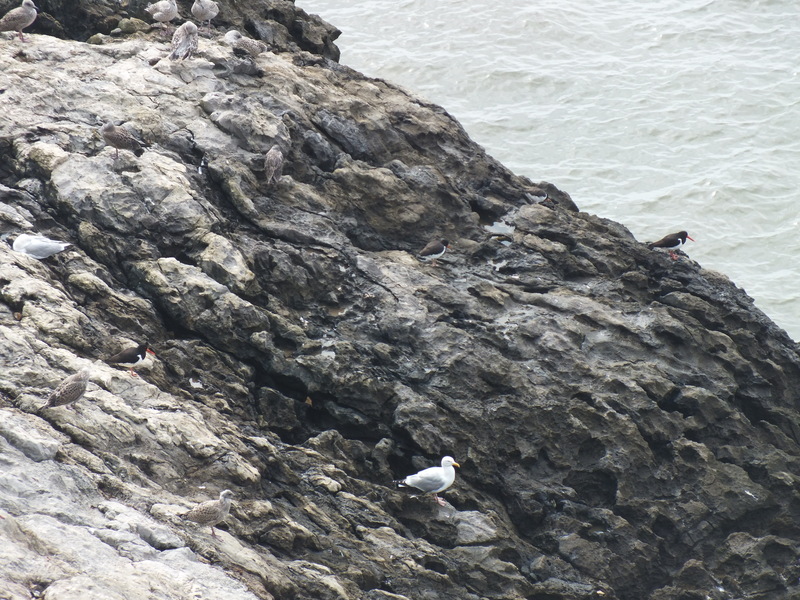 Well done the oystercatchers and good luck spotting them below. 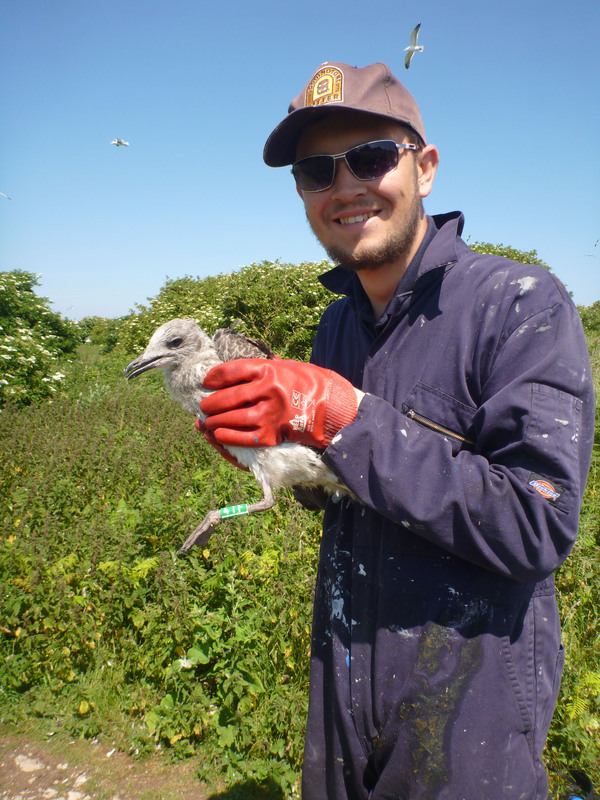 For the last 30 years the Flat Holm Project has successfully been operating a gull ringing exercise to study the lifespan and the migratory habits of our resident Lesser Black Backed Gull colony, and this year is no different. 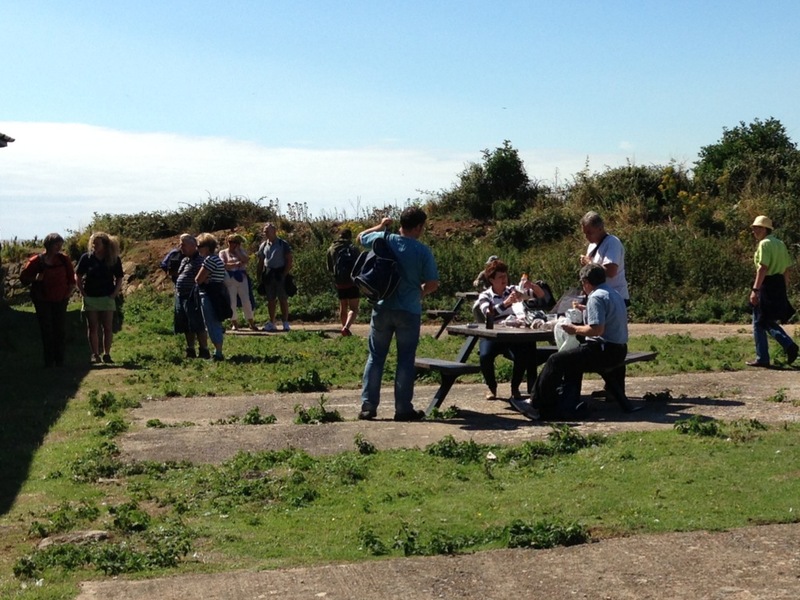 Last weekend the island team were delighted to welcome Richard and James (our professional bird ringers) along with their current trainees and several members of the Flat Holm Society. The brief, as normal, was to ring 100 of the young gull chicks before they are ready to depart the island following the breeding season. Each chick is fitted with a coloured PVC ring marked with a unique alphanumeric code on their left leg, and a corresponding smaller metal ring on their right leg. Each member of the group was able to sample each stage of the process, from catching the gulls to actually fitting the rings. Other members of the group were also able to spend time searching the colony for gulls that have been ringed in previous years. Choosing the “correct” chicks to ring was a very important part of the process, as it is in the interests of the exercise as a whole that they are able to survive into adulthood. 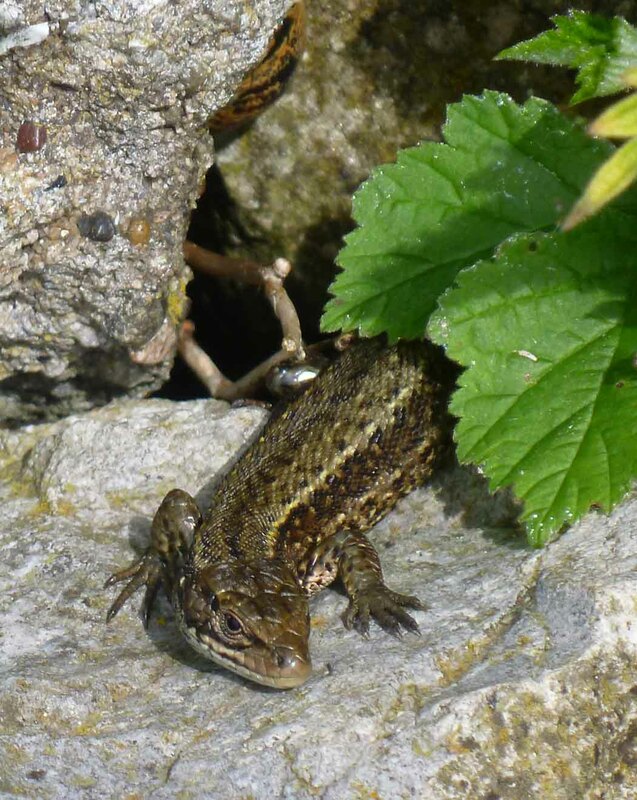 This ruled out choosing the smaller and weaker chicks despite them being far easier to catch! 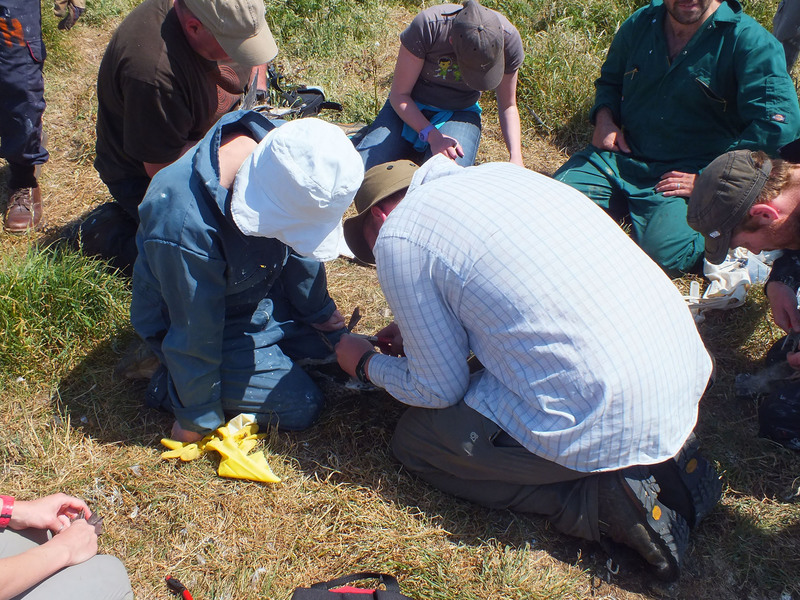 Above: Dan with one of the chicks that the team ringed. Its green and white ring reads 4TF. With everybody having a great time and all 100 rings being applied throughout the colony the weekend can only be regarded as a complete success, and hopefully the gulls that we have ringed will go on to be re-sighted both here and abroad in the years to come.